One of my favorite gatherings to host is a blind wine tasting party. It’s the perfect year-round get-together that both educates and inspires guests on my go-to party staple: wine. Here’s my go to party planning strategy – I typically select four to six bottles from a certain country, wine region or vineyard so my selection falls under a theme. Before the party begins, I keep my wine bottles stored at optimal temperature in a Thermador wine refrigerator to ensure exceptional taste. I also like to chill my white wine glasses in under counter drawers for 10 minutes before serving to preserve the ideal temperature. 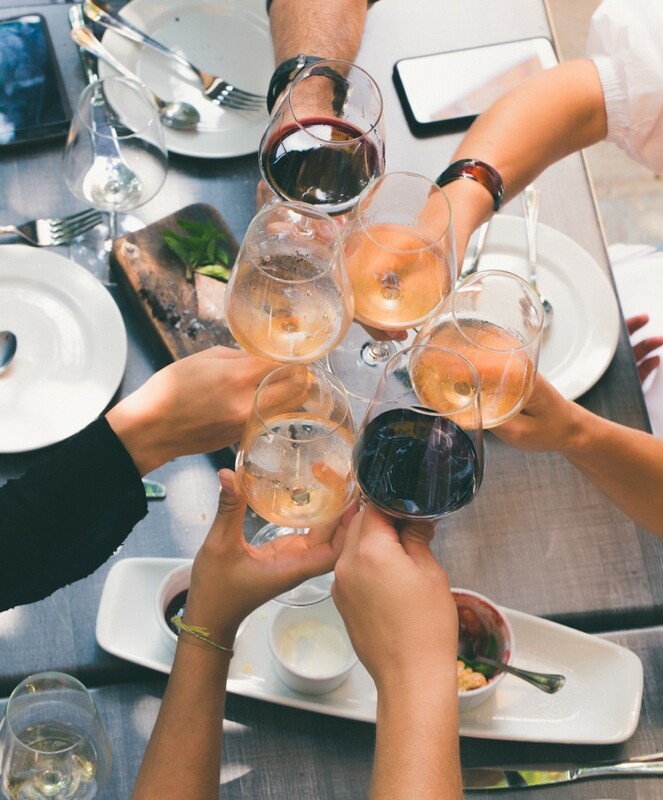 In fact, taste is so important when sampling wine, sommeliers suggest providing guests with a new glass for each pour, to assure flavors don’t mix. The Glass Care Center has elevated my hosting abilities thanks to its design that accommodates up to 26, 12oz. wine glasses. This means I have sparkling glasses at the ready any time I entertain. 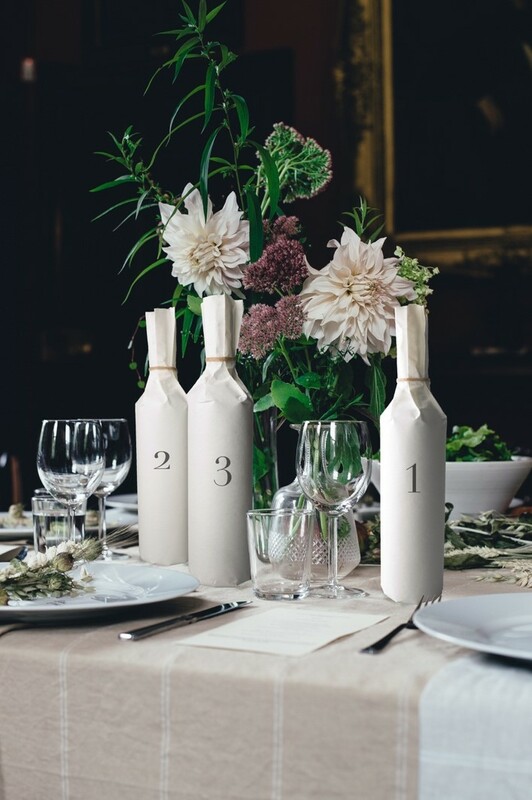 Prior to my guest’s arrival, I discreetly wrap each bottle and number them to hide the labels. Next, I separate the reds and whites on a beautiful tablescape displayed with fresh unflavored water, warm bread, and a variety of crackers so guests can cleanse their palate between sips. Sometimes I’ll provide rich coffee beans for guests to smell between wines, as this can re-set their senses before the next flavor. When guests arrive, I provide each with a decorative tasting card to write down their guesses. After everyone has had a chance to sample the table and make their predictions, I reveal an answer card with a description of each wine and where it originated from. It’s always so exciting to see who guessed closest to the correct country, region, or vineyard. As an added perk, I enjoy gifting my favorite bottle of wine to the winner. 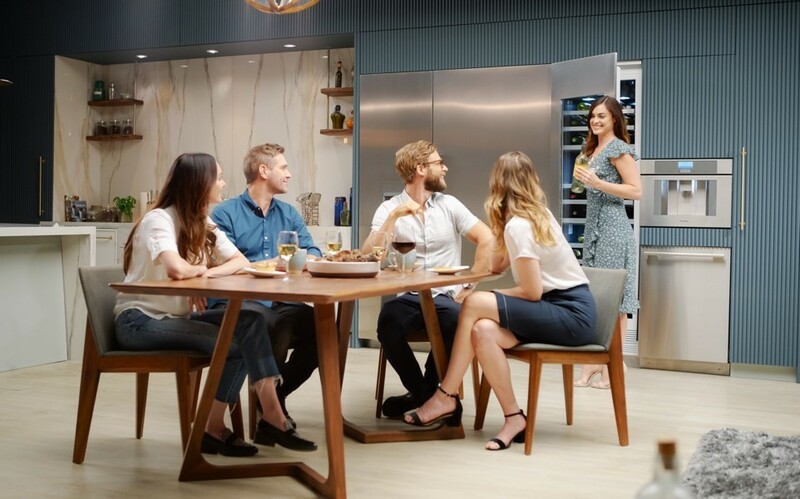 Are you interested in hosting a wine tasting party of your own? If so, is there a specific vineyard or country you’ve traveled to you’d select wine from? Share your thoughts with us in the comments or on our social channels: www.facebook.com/thermador, @ThermadorHome and @Thermador.